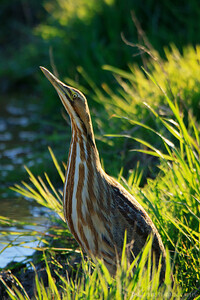 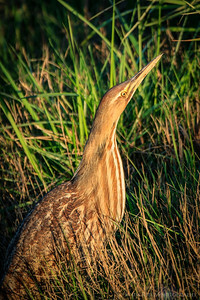 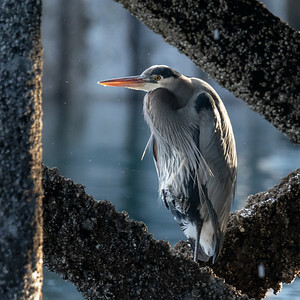 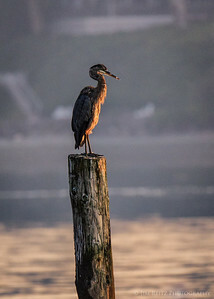 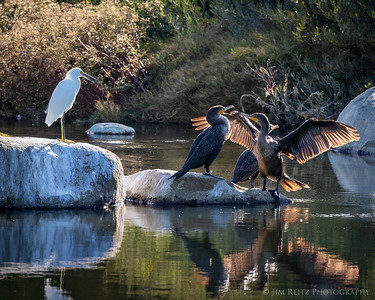 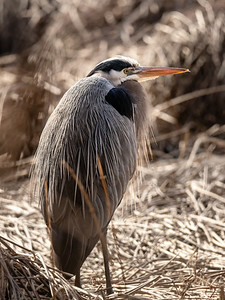 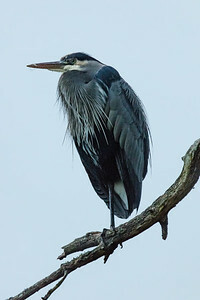 Bird of the Day: Great Blue Heron - seen on a walk this morning at Hawley Cove Park, Bainbridge Island. 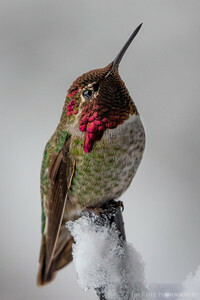 A tiny jewel in the snow. 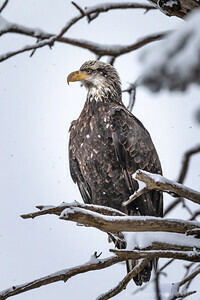 Immature bald eagle in my backyard tree, during one of last week's snow storms. 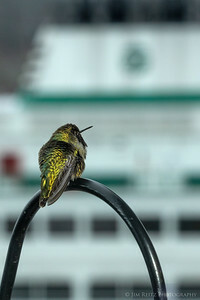 A very cold hummingbird waiting for his ferry this morning. 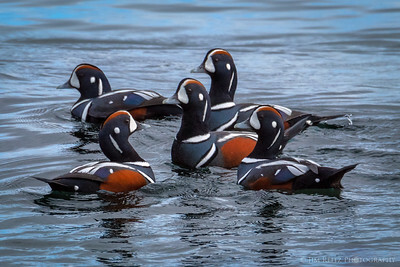 Harlequin Ducks this morning on Bainbridge Island. 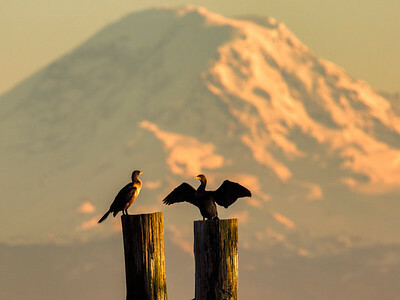 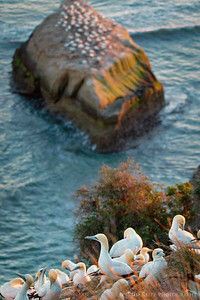 Cormorants and Mount Rainier at sunset, 500mm telephoto zoom. 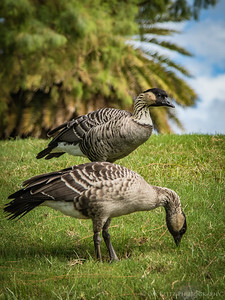 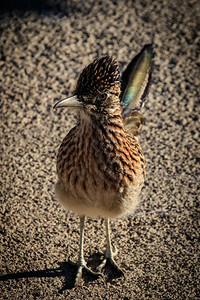 Punk Rock Duck - aka. 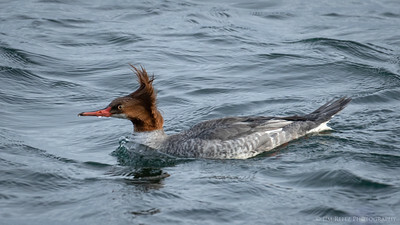 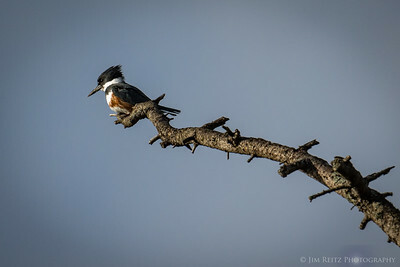 Common Merganser, Bainbridge Island. 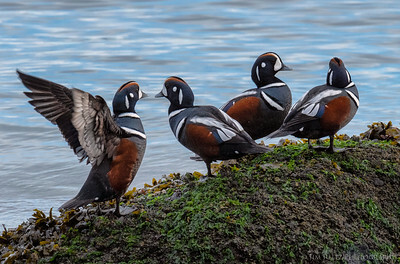 A pair of Harlequin ducks here on Bainbridge Island. 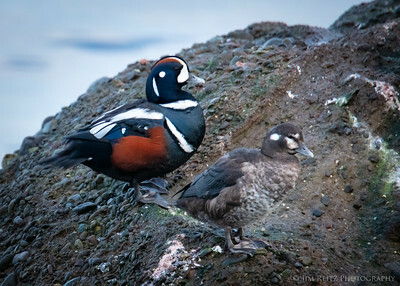 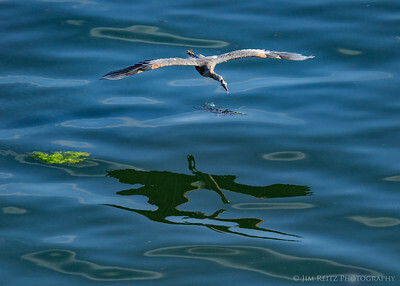 A very colorful, small sea duck occasionally seen in Puget Sound during winter months. 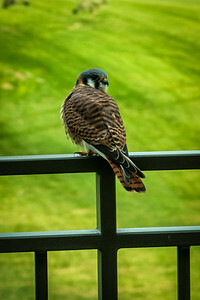 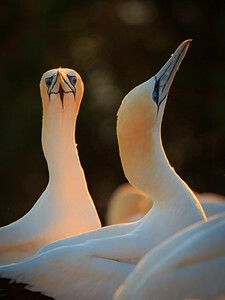 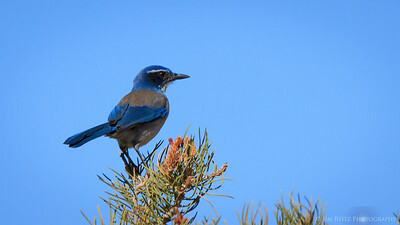 And best scientific name ever - Histrionicus histrionicus (Melodrama melodrama)! 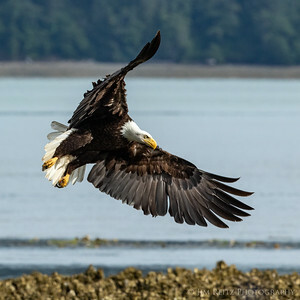 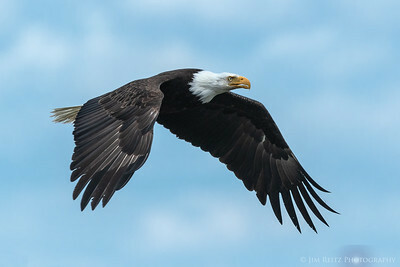 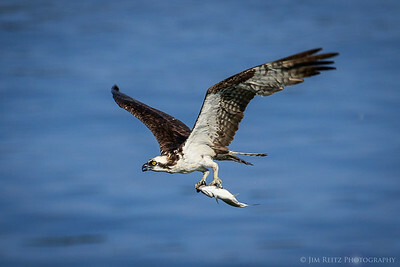 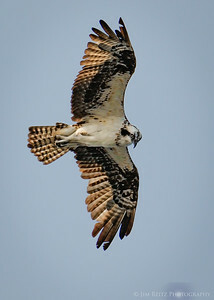 Eagle in flight - Hood Canal near Seabeck, Washington. 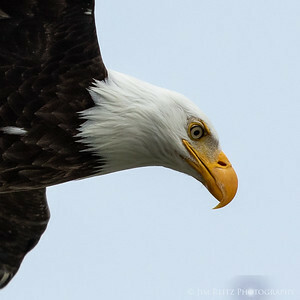 Eagle close-up during a fly-by. 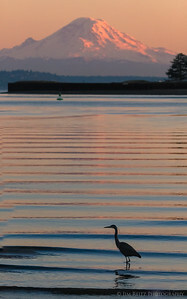 Hood Canal near Seabeck, WA. 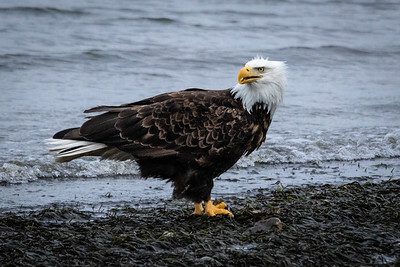 Bald eagle along the Hood Canal near Seabeck, Washington. 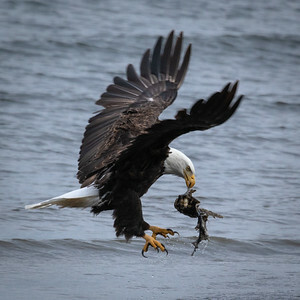 Bald eagle - Seabeck, Washington. 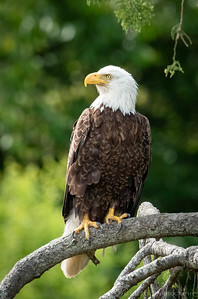 This bald eagle was posing nicely in a tree next to the N. Fork Skagit River on Fir Island. 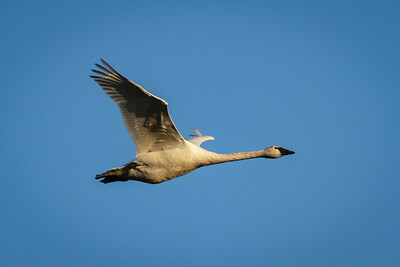 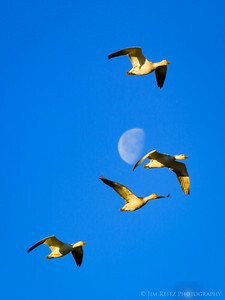 Snow Geese in flight, passing by the waning moon. 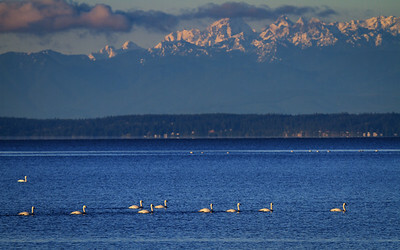 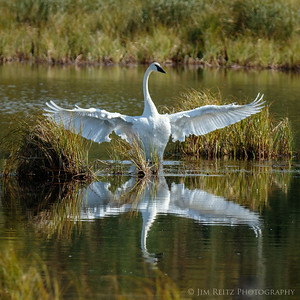 A flock of Trumpeter Swans swims across Skagit Bay, with the Olympic Mountains in the distance. 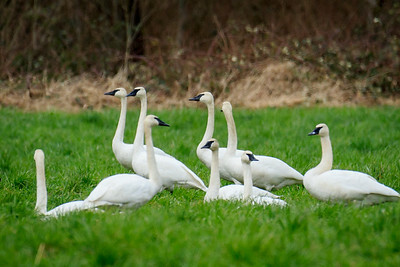 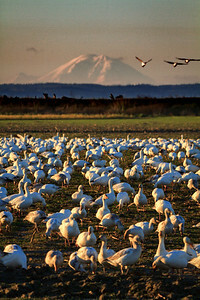 A flock of Snow Geese lands in a field, with distant Mount Rainier in the background. 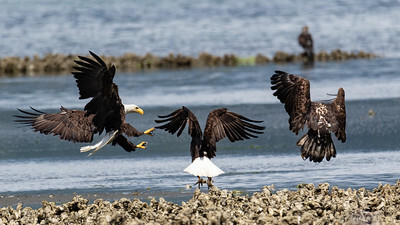 Fir Island, Washington. 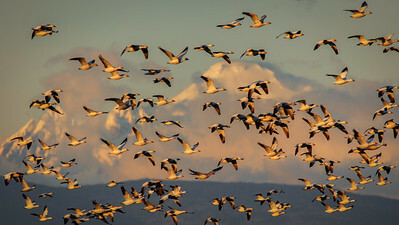 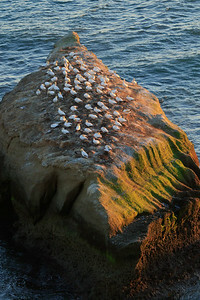 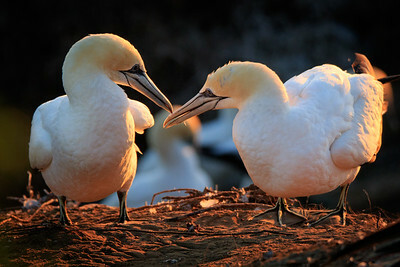 A flock of Snow Geese - lit by late-afternoon sun - passes in front of Mount Baker, Washington. 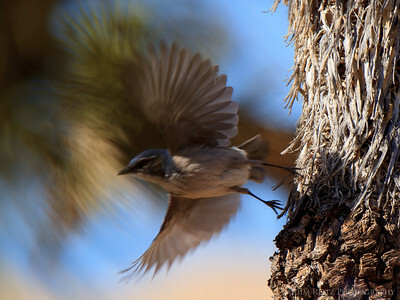 Western Scrub Jays in Joshua Tree National Park.